By means of a highly precise gear wheel pump, the iVD-Fluid is suited for dispensing low-viscosity media without fillers and a viscosity of 1 up to 100,000 mPas. Depending on the needed volume, there are three pump sizes to choose from. 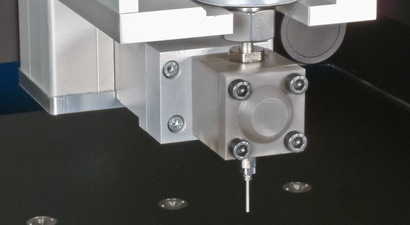 Dispensing ranges are available from 0.06 cm³ to 0.6 cm³. Especially suited for dispensing low-viscosity adhesives, paints, greases or oils.